The thread cover for weapon thread protects the thread on the weapon against dirt and damage. The outer dimension of the thread cover is adapted to meet the diameter of the barrel. The thread cover are available in a wide span of different threads, materials and designs. Thread cover for the weapons thread protects the thread on the weapon against dirt and damage. The outer dimension of the thread cover is adapted to meet the diameter of the barrel. The thread cover are available in a wide span of different threads, materials and designs. The thread cover is made of steel and can withstand intensive shooting and heat. 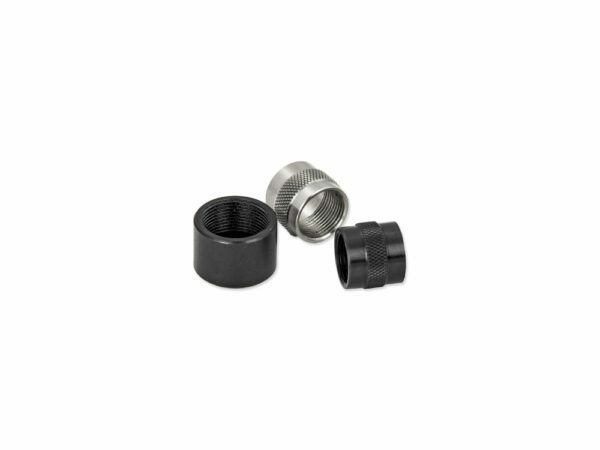 The thread cover are black with a knurled grip, the exception for M18x1 and 5/8 "-24 which are smooth. 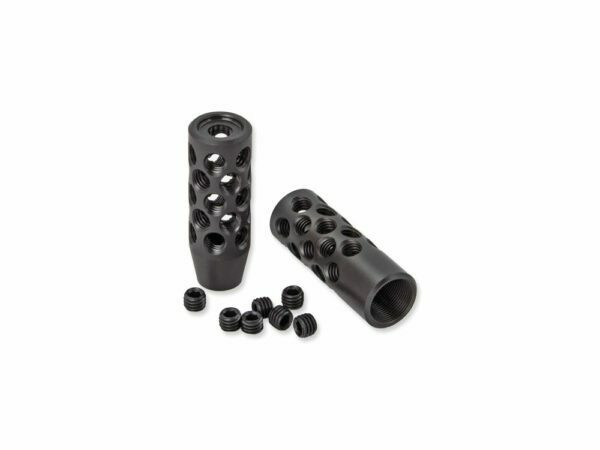 M12x1, M13x1, M14x1, M14x1.5, M15x1, M15x1.5, M16x1, M17x1: knurled grip, external dimensions adapted to the thread diameter. 1/2 "-20 UNF, 1/2" -28 UNEF, 5/8 "-18: knurled grip, external dimensions adapted to the thread diameter. M18x1, 5/8 "-24: Smooth surface, external dimensions adapted to the thread diameter. 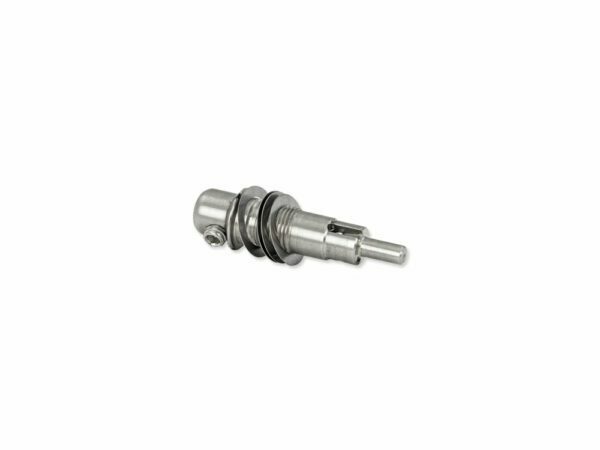 The thread cover is made of stainless steel and can withstand intense shooting. The thread cover are stainless steel with a knurled grip, the exception for M18x1 which is smooth. M13x1, M14x1, M14x1,5, M15x1, M15x1,5: knurled grip, external dimensions adapted to the thread diameter. 1/2 "-20 UNF: knurled grip, external dimensions adapted to the thread diameter. M18x1: Smooth surface, external dimensions adapted to the thread diameter. The thread cover is made of stainless steel and can withstand intense shooting. The thread cover are stainless steel with a smooth surface, without clamping. The thread cover suits barrels with a larger diameter (20mm). M14x1, M15x1: Smooth surface, outer dimensions adapted for larger barrels (20mm). 1/2 "-20 UNF: Smooth surface, outer dimensions adapted for larger barrels (20mm). The thread cover is made of composite, heat from large calibers can damage the thread cover. The thread cover are black with a smooth surface, without clamping. The thread cover fits the larger diameter barrels (22mm). M13x1, M14x1, M15x1: Smooth surface, outer dimensions adapted for larger barrels (22mm). 1/2 "-20 UNF: Smooth surface, outer dimensions adapted for larger barrels (22mm). The thread cover is mounted directly on the thread of the weapon. secure the thread cover only by hand. Always fit the thread cover to a well-lubricated rifle thread. Together with every silencer delivered from Stalon follows a 2-year warranty. A promise that if something during the manufacturing process of your silencer failed, we will take care of and correct it. However, if the silencer has been damaged due to mishandling, careless usage or just from an accident, the warranty cannot be applied for repairs. Even if the warranty does not apply, we want to help you, and of course for a decent price. *Service, repairs and other procedures can only be made by Stalon AB or by Stalon authorized service workshop. © 2019 Stalon All Rights Reserved.